The word hydroponics comes from the Greek words hydro (water) and ponos (to work) and literally means ‘water work’. The first hydroponic systems come from antiquity. 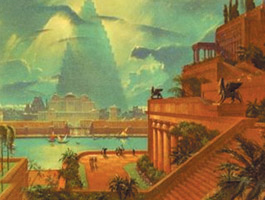 In fact, The Hanging Gardens of Babylon, and the floating gardens of the Aztecs in Mexico were the first hydroponic systems. Thanks to the continuous flooding in the area, it was possible to cultivate food the whole year round. The basis for the modern hydroponic system was laid after the experiments that took place from 1865-1895 done by German scientists Von Sachs and Knop. They discovered that plants needed certain nutritional elements to develop. 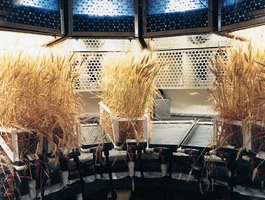 A method of growing plants without soil, in which all the nutrients are supplied via the water. A distinction can be made between ‘real’ hydroponic systems in which plants are cultivated without using substrate (NFT, aeroponics) and hydroponic systems that use a substrate (rock wool, perlite, and clay pebbles). The type of nutrient that must be used depends on the type of system. An important distinction can also be made between open and closed systems. Cons Higher loss of water and nutrients. Needs to be flushed away. Diseases can spread through the entire system by recirculating nutrients.